„In the eighth issue of Russian Military Capability in a Ten-Year Perspective, Russian fighting power, military expenditure, defence industry and security policy is analysed. – We see an increasingly authoritarian Russia that prioritises military spending, says Dr Gudrun Persson, project leader of the two-year work with this internationally peer-reviewed study. We can also conclude that The Russian Armed Forces are developing from a force primarily designed for handling internal disorder and conflicts in the area of the former Soviet Union towards a structure configured for large-scale operations also beyond that area. Russia now holds a stronger instrument of coercion than before. – A major change in this report compared with the previous edition is that we have altered a basic assumption, says Fredrik Westerlund, security policy analyst with the FOI and one of the eight authors of the study. In 2013, we assessed fighting power under the assumption that Russia was responding to an emerging threat with little or no time to prepare operations. In view of recent events, we now estimate available assets for military operations in situations when Russia initiates the use of armed force. The fighting power of the Russian Armed Forces is studied regarding three overall missions: operational-strategic joint inter-service combat operations (JISCOs), stand-off warfare and strategic deterrence. The potential order of battle is estimated for these three missions, i.e. what military forces Russia is able to generate and deploy in 2016. The fighting power of Russia’s Armed Forces has continued to increase – primarily west of the Urals. 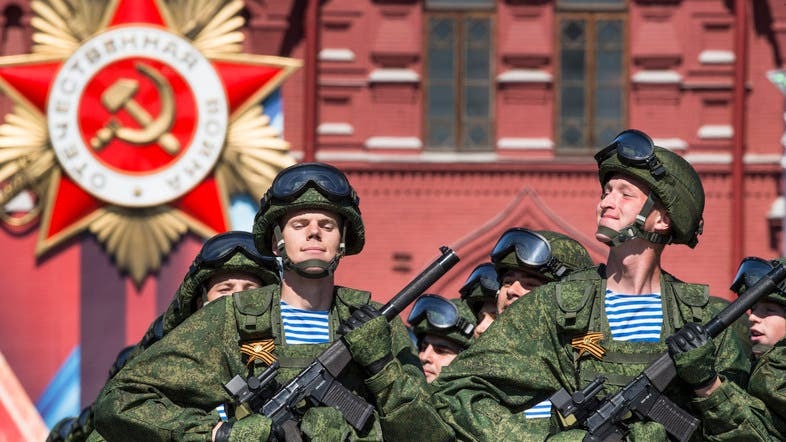 Russian military strategic theorists are also devoting much thought not only to military force, but also to all kinds of other – non-military – means, often referred to as hybrid warfare. The share of military expenditure in Russian GDP has increased from 3.6 per cent in 2005 to 5.4 per cent in 2015. This is the result of the political will to prioritize military expenditure over other items in public spending. At the same time, the implementation of the State Armament Programme has improved the Russian arms industry’s prospects of playing a substantial role in the ongoing rebuilding of Russian military capability for the next decade. The trend in security policy continues to be based on anti-Americanism, patriotism and authoritarianism at home. The complete report can be found on FOI’s website.